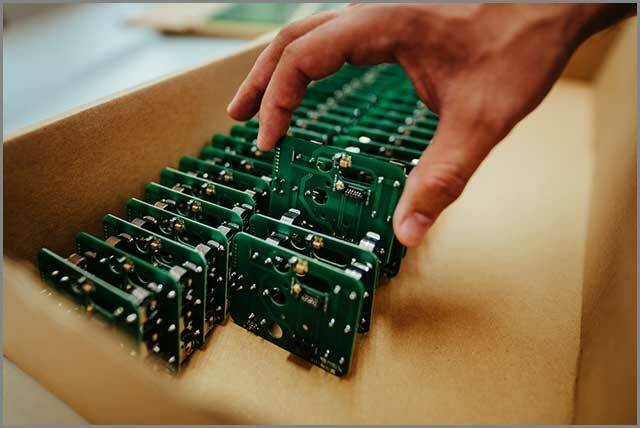 As the name suggests, bare PCB is created so that you can configure and populate them with components depending on your needs. It is the job of engineers to ensure that they are crafted to meet your needs and support the components of your choice. Printed circuit boards have become a major backbone in electronics. The inventions keep popping up in all computational electronics including calculators and digital clocks. They are the paths that tell electricity where to go in a circuit. Their work is to direct current on the surface of a board through copper pathways. A good example of printed circuit boards is bare PCBs. Before designing your bare PCB, it is recommended that you talk to PCB manufacturers. This is critical since it helps to prevent unnecessary errors. Here is a bare PCB manufacturing process. The circuit board you come up with should be rigorous and must have a layout designed by a software. To this end, you may use software such as KiCad, OrCAD, Altium Designers or Eagle. Your manufacturer will want to know the version of software used in designing the circuit. This is important since it helps to reduce discrepancies. After the approval of the PCB design, you will need to export the design into a format supported by the manufacturer. The design is then converted into an output format. This could be done using the extended Gerber. It encodes vital information such as tracking layers, component notations, apertures and so forth. All PCBs will then have to undergo checks which ensure that no errors are detected. You will then need to plan on other elements such as track width, trace hole spacing, board edge spacing and the size of the hole. The file should then be forwarded to the boarding house for production. However, the design must fulfill the minimum tolerance requirements. Step two.The designer needs to output the schematic files, which the manufacturer will use to make photo films. These films will then be used to image the PCBs. To do this, the designers may choose to use plotters to help provide a detailed PCB design. At this point, you will then have a plastic sheet with a negative film for your PCB. The negative photo will be in blank ink and represents conductive copper parts. It also has an outer layer that covers the areas consisting of non-conductive material. The plotter will then develop a film layer that can be stored. Note that each of the PCB layers will have a black film sheet, in case of a two-layer PCB, there should be two solder masks. Notice that it is necessary that you achieve correspondence of the films. You will need to punch holes through the film to achieve this. It is the testing of the printed circuit board. This could be done manually or using automated devices to help find any possible problem. Notice that the visual inspection only works when inspecting a two layer PCB. However, in a case of multi-layer PCBs, a visual inspection will not give you the desired results. As such, it may be necessary that you conduct an electrical test. Here you may have to choose between universal grid and flying probe. The universal grid requires that you make use of fixtures in conducting the test while universal grid does not require the use of fixtures. The universal grid is also referred to as bed of nail or clamshell test. Typically, a PCB test could either be capacitance or resistance. The capacitance test helps to detect opens and shorts. While the resistance test helps to measure the flow of current through traces. If you have traces of the same material but one is two times longer than the other, the resistance of the longer one will be two times the resistance of the shorter one.